Tamiya Acura NSX TT-02 Kit « Big Squid RC – RC Car and Truck News, Reviews, Videos, and More! Coming soon from Tamiya is the Acura NSX TT-02 Kit. The new full sized NSX is making big waves in the car scene with its aggressive looks and advanced technology, soon you’ll be able to drive a 1/10 scaled version thanks to Tamiya. The beautifully done NSX body sits on Tamiya’s dependable and easy to build TT-02. 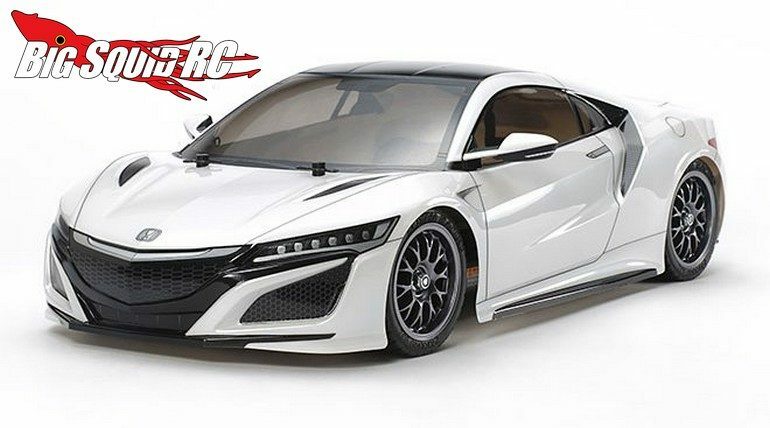 The NSX will be street priced at $99, it has a part number of #58634, they are expected to ship later this month, and more details can be found over on Tamiya’s Official Website. Hit This Link for more Tamiya news on Big Squid.